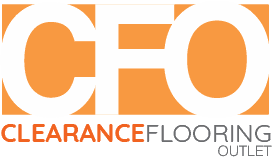 Flooring is an important part of the overall décor of a property. With multiple options like Luxury Vinyl tiled flooring and multiple laminate flooring ranges, and each having their own advantages to offer, making the right choice can often be overwhelming. The article aims to lead a healthy discussion on the score points for each while guiding you on the options best suited for your need. Well, when it comes to cost, both Luxury Vinyl tiles and laminate flooring fall roughly within the same range and are more cost-efficient solutions than traditional choices like hardwood, ceramic, marble or other stone ones. Then, they’re both highly durable and hence easy to maintain as compared to their wooden counterparts. The “wear” layers like aluminum oxide on some laminate floorings and clear vinyl and urethane on Vinyl tiles adds to their durability. And what’s more, you can get a range of choices within both these flooring options that imitate natural flooring surfaces like wood and stone! Again, installation for both is a quick process and can be done by professionals in small time along with easy options for repair/ replacement of damaged pieces. So that was all about their similarities. Let’s also get a few pointers on the differences between the two. Laminate flooring is made out of high-density fiberboard which makes it super strong and sturdy. Vinyl tiles as the name suggests are made out of vinyl giving the material stability and flexibility. The process of installation has slight variations as well. Laminate floorings usually come with floating floor options whereas Luxury vinyl tiles need adhesives for gluing them to the subfloor. The choice is totally personal, but let’s just give you a brief idea of their advantages and disadvantages in correlation with your needs. Laminate floorings score a little over Luxury vinyl tile options owing to their stain and fire resistant features along with being the more tougher and resistant surface. Additionally, laminate floorings can work out better in scenarios where the uniformity of the subfloor is an issue. Since laminate floor planks are a little more rigid, they work better in creating an even look and balancing the unevenness of a surface. Finally, laminate flooring being a green product made from wood by-products is a renewable as well as greener option as compared to their vinyl tiled counterparts which are made out of toxic chemicals like petrochemicals and chlorides. The choice is of course yours. Consider your needs carefully while discussing with a professional organization to get a material that’s best suited for your living conditions. The presence of online shops and the luxury of being able to do online research has opened out our choices in every aspect of our lives including our homes. Wooden flooring for example, if you ever decide to build a new home or renovate your old home, the variety of ideas that come up can leave you quite bedazzled. You can therefore make an informed choice, knowing the pros and cons of every decision you make as regards the decorating of your home. There has been a tremendous advancement in flooring thanks to technological innovations so that you have available now aesthetically pleasing and durable flooring which are also highly economical. Wood flooring has been popularly used as flooring material by homeowners. It is available in different styles, species, and colours. The advantage of using wooden flooring is that it goes with all kinds of décor. Hardwood floors of very hard wood is ideal for flooring especially in heavy foot traffic areas as it will be resistant to scratches and dents. Oak, cherry, maple, ash, bamboo, walnut, and mahogany are some of the popular choices for hardwood floors. You can also go for laminate, engineered hardwood, or solid hardwood depending on your budget. Solid hardwood floors can be restored to its original beauty with sanding and refinishing. It also adds value to a home, however, great care must be taken when installing it to counter the effects of weather. The advantages of using engineered wood flooring is that it does not respond to changes in weather as does natural wood. You can get the effects of using hardwood without paying as much. It is perfect for laying in basements as it can withstand humidity and changes in weather conditions without expanding or contracting. These floors are durable and can be sanded and refinished to get back its original splendor. Engineered wood floors consists of many layers with the topmost layer being made of good quality wood. The core material and the backing is made of composite material. Having wooden floors in your dream home is considered a luxury and if you are one of the lucky ones, you are definitely reaping the benefits of having chosen to go with a wooden flooring for your home. Wood floors are durable and can withstand the rough and tumble of family lives. In these days of environmental consciousness, choosing to go with wooden floors will ensure you are building green. Wooden floors do not create landfill waste as they do not have to be replaced for ages. Cork and bamboo are renewable and sustainable resources and using them ensures you truly have a green home. Historically, bamboo has its earliest use recorded in China around 5,000 years ago. Bamboo is truly versatile in nature. Considered as a symbol of longevity and good fortune, this humble plant has been used to make several amazing products – paper, bows, arrows, cutlery, crockery baskets, hats, shoes, fuel, swords and even works of art. It is no doubt then why it’s found its way in flooring as well. Bamboo flooring makes an excellent substitute to hardwood flooring. Read on to know more about its pros, cons and how to care for them. According to Janka Hardness Test, bamboo is harder than most hardwoods. Therefore in comparison, bamboo flooring is more durable and resistant to scratches. They are also termite resistant and more affordable. Coming from the grass family, bamboo plant takes approximately 3 to 5 years to reach full maturity, which is far less compared to hard wood trees which can take even 20 years or more. On the con side, there are more species of trees to choose from in hardwood. Choices in hardwood flooring are also more due to the way they are cut which produces different levels of grain consistency. As bamboo doesn’t take too long to mature, it definitely makes a more eco-friendly option. Knowing their differences will help you to make a good choice for your home and family. Just because it is harder, bamboo flooring cannot be left to take care of itself and like hardwood flooring, they too require to be treated with care. Use doormats in order to avoid dirt and grime from being carried indoors. Vacuum or sweep the floor on a regular basis to take away dirt, sand and grit. Do not wet mop as standing water can even cause permanent damage. If it is absolutely necessary, then wring the mop thoroughly to prevent any excess water to come onto the floors. Shield areas exposed to excessive sunlight by using curtains and blinds. In case of pets, keep their nails trimmed so as to avoid excessive scratching on the floors. In short, follow manufacturer’s manual to make your bamboo flooring last longer. Although it may seem a lot, the joys of walking on bamboo knowing that you are doing your bit to conserve the environment will far outweigh the trouble you take to care for them. Luxury vinyl tiles can successfully replicate the look and feel of many natural wood flooring types including exotic bamboo flooring. And they provide a host of other benefits – read on to learn what they are. Natural bamboo floors are trendy and stylish – they can instantly upgrade the elegance of a space. Luxury vinyl tiles with bamboo flooring effects can achieve this and more. These tiles are more stunning than ever before – they can realistically reflect the authentic texture and depth of colour available with natural bamboo flooring. Besides, they are available in various sizes and patterns and provide endless opportunities to create a truly unique floor. When compared to other hardwood floors, natural bamboo floors are more water-resistant. But they are susceptible to excessive moisture. Calamities such as floods can severely damage bamboo floors and encourage the growth of mould. In high humidity areas, bamboo floor planks can plump, resulting in cracks. Luxury vinyl tiles, on the other hand, are moisture resistant and especially suitable for high-moisture areas such as the kitchen or bathroom. Although bamboo floors are robust and durable, they are prone to scratches. A wide variety of things such as furniture legs, footwear with high heels and pet claws can damage the surface of bamboo flooring, making them impossible to maintain perfectly over the years. Luxury vinyl tiles usually have a protective layer that makes them impervious to scratches. Luxury vinyl flooring is a more family-friendly option and also easy to maintain – you do not need expensive cleaning agents for its upkeep, a simple brush or mop will do. It also comes with wonderful sound and heat insulation properties that elevate comfort levels. For the manufacture of most bamboo floors, resin-based adhesives are used – these adhesives can release harmful volatile organic chemicals into the atmosphere of a space over time. Also, there are concerns about depletion of bamboo fields due to their commercial applications. Both these problems can be easily avoided by installing eco-friendly luxury vinly tiles with bamboo flooring effects. Luxury vinyl flooring can be installed with minimum and when you choose a product that can be installed with click technology, you avoid the use of adhesives. Discover an amazing range of luxury vinyl tiles with bamboo flooring effects by leading brands at your favourite online store for quality flooring in the UK! The right type of flooring material will help to complete the interiors of your home. Whether it’s dark stone flooring or a wooden one, choosing the right colors and designs can be a challenge. So, here is a look at some flooring options to help you with your decision. Cork flooring is natural, sustainable and environmentally friendly. It is made by peeling off the bark of a tree and is therefore anti allergic and insect resistant. It is a great insulator and adequately sound proof. Floors made from cork can be maintained and cleaned rather easily and are scratch resistant. A classic option for most homes is wood flooring. Pine Flooring requires proper care, regular cleaning and a timely application of polish to its surface. Laminated flooring is a great way of infusing style and grandeur without spending too much. It does not fade in color and isn’t affected by moisture. It requires basic cleaning and no extra maintenance. Linoleum floors are considered to be eco- friendly considering they are made of cork, limestone, linseed oil and recycled wood. Dark Stone Flooring is elegant and durable, able to withstand higher temperatures and easily maintained. The different stones used are clay, limestone, sandstone, travertine, onyx and granite. Ceramic, mosaic and porcelain tiles are stain and heat resistant and have a certain glaze in their appearance. Although vinyl is synthetic in origin, it gives a feel of natural wood and is known for its affordability and durability. Hardwood floors need to be regularly swept and vacuumed and only a select type of cleaning products can be used on it. Hardwood floors are vulnerable to damage caused by moisture. Crackling, discoloration and splitting can happen if the floors are wet- mopped. Always follow the instructions and recommendations given by the manufacturer to prevent damage. Laminated floors on the other hand do well with damp mopping and regular cleaning. Avoid using soapy detergents or abrasive cleaners or they will dull the surface. Dark Stone Flooring are quite durable and can withstand most cleaning processes. Ceramic tiles that are glazed will wear more easily while porcelain tiles last the longest. When vacuuming tiles be careful to prevent scratches and avoid using a scrub brush. Pine Flooring can be sanded and refinished in order to conceal or cover scratches and dents. Vinyl tiles can be replaced as when they are damaged so it makes sense to buy a few extra ones to use later. Flooring acts as a large canvas for any space and therefore it is important that you choose the right one. Whether you’re remodeling your home or building your new home, here is a look at the flooring options and décor ideas for Dark Stone flooring. There are plenty of wood flooring options that eco -friendly and sustainable. Bamboo grows extremely quickly and it is also a durable option and wallet-friendly. Cork is harvested from the bark off a tree without having to cut it down or damage it. This makes cork flooring a low cost, sustainable option for high traffic areas. Reclaimed, reused and recycled wood adds a unique feature and character to your flooring options. Tiles are made from renewable materials and are certainly eco-friendly. Wool carpets are great for the environment because they are natural and they are sourced responsibly, hygienically and painlessly. Linseed oil is used to make linoleum flooring which is non- toxic and biodegradable. They also come in many designs and colors. Dark Stone flooring is the most durable, easily maintained and great looking. The design of your floor or the décor must complement the room design and colors. Area rugs are great décor ideas in bedrooms, living rooms, and entertainment spaces. Since they come in all kind of shapes, sizes, and colors they are the great addition to entryways too. Area rugs don’t just warm feet, they also act as an art piece to frame a space. It is important that an area rug does not clash with the rest of the elements in the room. Floor lamps can be used to highlight certain areas or features on the floor. Their function is dual, to beautify and illuminate. Tower lamps and tripod lamps are popular because they are modern and affordable. Keep in mind that the wiring and the cords are placed away from walkways. Plastic or vintage floor fans, help to keep the area cool and also add a decorative element to the room. Fans with intricate work, metal designs or are quirky will add an interesting detail. Dark Stone flooring can be decked up using floor plants such as Ficus, Snake Plant or Lucky Bamboo that are good for health and keep the air clean. A cozy seating arrangement, floor cushions, a beanbag in attractive colors and designs are affordable ways to add décor to your flooring space. The style and look of the floor must speak for itself and reflect the style and character of its space. There is great excitement when it comes to planning a home, be it your own home or if you are planning it for a client. Hundreds of ideas come floating in your mind and it is difficult to decide on what really works with your style of living. The colors, the types of doors and windows, the cabinets, and most importantly the flooring of your home will determine the ease of maintenance of the home once you are actually living in there. The flooring is important because you have to choose the right material for your floor depending on the amount of footfall you expect there. We usually select flooring that gives the home a classy and elegant look, however, it is also important to keep functionality in mind. Flooring should be easy to clean and made of tough materials if it is going to be laid in areas of heavy footfall. The family room and passages would typically be heavy footfall areas whereas the bedroom and the formal living room could manage beautifully with wooden flooring such as walnut flooring. The options in the market are so many that you often need the help of a professional to make the right choice. Wooden flooring such as walnut flooring comes in different shades of brown. Therefore, it is better to take samples and check whether it fits the area where you intend to use it. This helps you to determine whether it is suitable as far as the natural lighting the room receives and the rest of the décor of the home. Walnut flooring is durable and will guarantee that your home looks its elegant best. It is important that the flooring you choose is easy to clean and maintain especially if it is a home where there are many residents leading very active lifestyles. Walnut lumbar comes in rich shades of brown with the sapwood of walnut lumber being light in color and becoming more brown as you reach the heartwood. Its popularity lies in the fact that its colour tends to hide dents and scratches. Walnut wood flooring is heavy, strong, and hard and is able to withstand the ravages of time. It also adds value to your home in the event you want to sell it. It is difficult to replicate the walnut color on other wood species as a result of which you can be sure you are getting authentic walnut wood when you choose that wood for your wooden flooring. While this may sound like a not so important point to consider – it does, in fact, make a difference when it comes to maintaining your light and dark wood flooring. Shoe soles bring in a large amount of debris and dust into the house. These leave tiny scratches on the flooring which over time begin to collect dust and dirt making the floor look dirty despite cleaning. When it comes to dark or light wood flooring using the vacuum cleaner to clean your floors is always a better idea than a broom. This not only ensures that all the dust is picked up, it also keeps it from moving around the house and possibly scratching the floor. Also available in the market are vacuum cleaners specially designed for hardwood floors. Sometimes all you need is a broom to do a quick clean on your light wood flooring. Situations like these don’t require the vacuum cleaner. Here too we suggest skipping the broom for the same reasons as mentioned above. Instead, we recommend the use of a high-quality microfiber mop. A microfiber mop picks up all the mess without damaging the floor and it is quick and easy. Sometimes light wood flooring needs more than just a vacuum cleaner or a mop to get it cleaned. In situations like these, you need to ensure that you use a cleaner that is specially designed for hardwood floor. Cleaners that are manufactured for stone / tiled floors can do some serious damage to hardwood flooring. Hardwood flooring cleaners are available in a wide range including those that are eco-friendly and safe for both children and pets. Keep this simple cleaning tips in mind and enjoy a hardwood flooring that will continue to look new and shiny for a long time. Dark stone flooring is a timeless and classic look that cannot be matched. This kind of flooring is an all-time favorite with people who love stone floors. But did you know that almost every kind of stone is available in a dark option? When you decide to choose, you will be making a choice based on the textures, shades and most importantly the cost of the stone. There are plenty of options for you to choose from. This is the most popular of the dark stone flooring options, and with good reason – it is the cheapest option available. Having said that, slate also comes in a variety of very interesting textures and it does very well for floors that tend to be more wet than dry. That doesn’t mean that you cannot use it in your drawing room. If you like the look, go for it! Granite makes for an interesting option especially for those who love patterns. The tiny mineral specks in granite can make for some very interesting patterns when it comes to dark stone flooring. Granite is available in a wide range of colors and shades. Greys, olive greens, and purples are some of the darker shades available in granite. If you are looking for that uber luxurious look and you have someone to maintain it, marble is the obvious choice for your dark stone flooring. Marble the world over is synonymous with luxury and it too is available in a wide range of colors ranging from white / off-white to richer and darker greens and blacks. Marble flooring needs care and a big purchase budget. Make sure you have this in place before you decide. Limestone is another very interesting option for dark stone flooring. Many people aren’t aware of this, but limestone is available in rarer shades like greys and dark browns. To make it even more interesting, limestone is also available in a wide variety of textures, some even with fossil imprints in them. The cost of a limestone flooring, much like marble and granite can swing both ways – it can be economical or expensive depending on what you choose. Choosing a stone flooring can be an overwhelming task, so before you set out to make your choice, it is always a good idea to have a fix on your budget and maybe some idea of the kind of colors that you are ok with. Without these, there will be way too many options for you to consider.